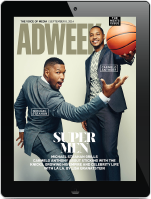 In a reflection of the agency world at large, MDC Partners has had a bit of a rough week. Just over a year after receiving a $95 million lifeline from Goldman Sachs, the not-a-holding-company reported what CEO Scott Kaufmann called “unacceptable” results for the first three months of fiscal year 2018. That was yesterday afternoon. 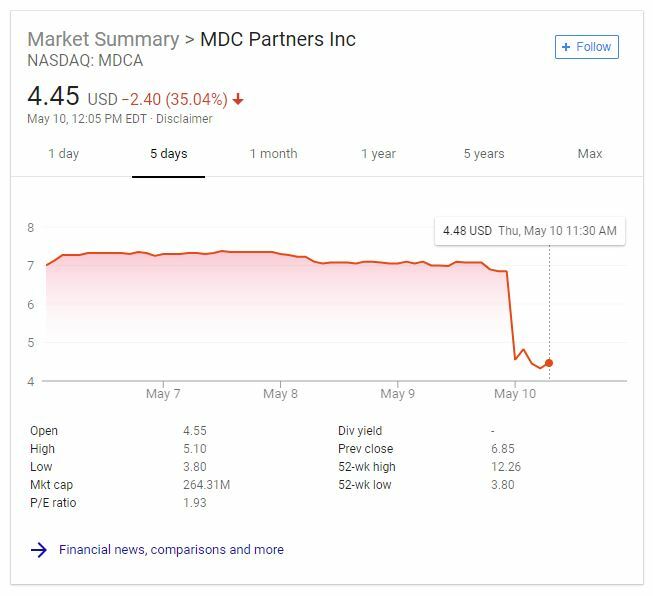 NASDAQ responded by sending MDC’s stock price down by more than a third as of noon today. This followed a drop of around 16 percent in after-hours trading. AdAge had a good writeup of the earnings call itself, with Kaufmann citing “some client cutbacks and slower conversion in its new-business pipeline” as he told analysts and reporters that MDC will definitely not be able to hit its goals of 4 percent organic growth for the year. He also noted that new accounting standards had an effect on his company’s results. That’s in reference to ASC 606, a new requirement regarding customer contracts that went into effect last December. 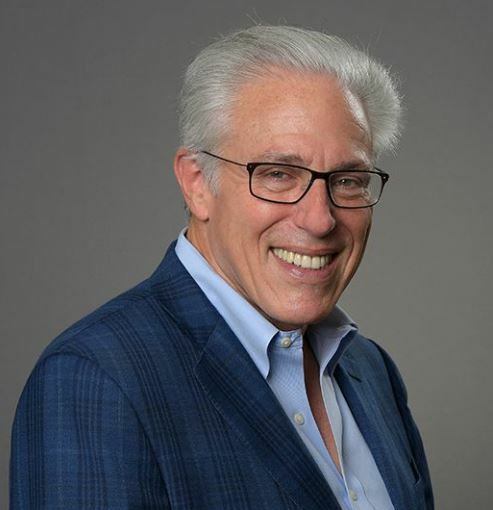 IPG’s Michael Roth also cited the new regulations in explaining why his company’s overall revenue might not be as high as investors would like for the first quarter. MDC needs exactly what the industry is moving away from: big account wins, preferably on the global AOR level. While 72andSunny, Anomaly and others have continued to pick up new business (like Weight Watchers for the latter) and expand overseas, it’s not been enough to make up for the big hole in MDC’s business. On yesterday’s call, Kaufmann strongly implied that MDC may sell off some of its agencies. That said, the dip hasn’t been as dramatic as the one that hit in November 2016, when the company’s stock price fell more than 60 percent in one day. And MDC has made some strategic moves as well, most recently hiring Publicis vet Ned Russell to manage a category that has been one of the few bright spots in the ad world: health care. A company spokesperson declined to comment beyond the earnings call.